The Research Center is open from 10:00 AM to 4:00 PM Monday through Friday, hours subject to change. Please call for an appointment so that we may discuss your needs and schedule time. Phone: 254-750-8631; M-F between 9 am to 3 pm. Drop-ins: We will make every effort to accommodate drop-in researchers, but priority is given to those with appointments. Personal use and Non-profit Fees: Nominal Charges apply for photocopies and photo duplication. Commercial Use: Commercial (for profit) use is subject to fees in support of the Armstrong Center. Contact us for further information about fees and permissible commercial use. The Center is closed Saturdays, Sundays and most major Federal holidays. Please contact us a minimum of two weeks in advance if you are unable to visit the Research Center during normal operating hours. We may be able to arrange staff schedules to allow a visit outside of the normal operating hours. The Texas Ranger Research Center offers a low-cost research service for those unable to visit Waco. It is intended for non-commercial, personal use of limited scope. Requests for research about individual Texas Rangers must be submitted by mail, using the Research Request Form below. Initial contact regarding research, or questions about the procedures, may be made by telephone or by email, but the actual request must be made with the Research Request Form, or by written letter for those whose unable to print out the form. Research for general Ranger-related topics other than searches for information about individuals can be initiated via telephone or email. More detailed research for writers and students who are producing books, feature articles, film projects, and academic papers usually involves in-depth examination of resources at the Armstrong Center. Please call 254-750-8631, or email info@texasranger.org. We will be glad to discuss your project and schedule a research appointment. The Tobin & Anne Armstrong Texas Ranger Research Center is a nonprofit library and archives. It is supported by donations, grants and partial funding from the City of Waco. The Center receives no State or Federal funding. To defray expenses, there is a non-refundable fee of $25.00 per name for research requests for information about individual Rangers. Donations in excess of the fee qualify as charitable contributions and are gratefully accepted. 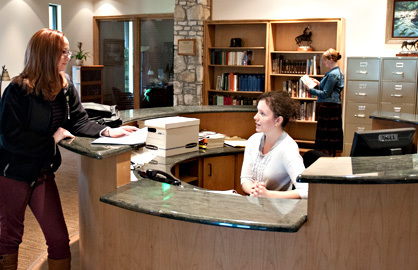 The Armstrong Center receives up to 3,000 requests and visits per year. We make every effort to respond as promptly as possible, but due to limited staff and occasional high request volume, it may require up to 6-8 weeks for reply. We recognize the personal significance of Texas Ranger service to many families, and we thoroughly examine every available resource. No master list of every Texas Ranger exists. Records of Texas Rangers were kept in many different formats completeness by the government of Mexico, the Republic of Texas, the United States prior to the Civil War, The Confederacy, and the United States. The loss and destruction of State records over this span of time means that records pertaining to the Texas Rangers are incomplete. The surviving records of those whose service can be verified may not be detailed and photographs are scarce before the modern era. A search of available sources involves in-depth research in company rosters, enlistment warrants, photos, published books and memoirs, indexes, etc.